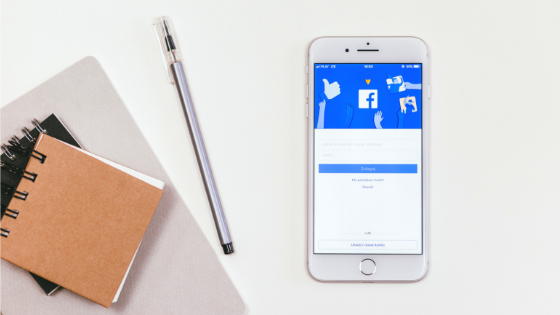 Recent changes in Facebook’s algorithms have made it a little more difficult for small businesses to spread and share their content. The changes were designed to prioritize content from friends and family and make it more relevant than that of businesses to reduce advertising spam. Does it affect you? Yes. Does it take away from the fact that Facebook is a vital and an incredibly effective tool for growing your business? No. Some of these are tried and true methods since businesses first started to to connect with people on Facebook and some of them are a bit newer. Engaging with your audience/customers is the most important thing you can do. Be active on your site keeping your content current and relative. People will return to a page that they find useful, valuable, and worth their time. They won’t if the content is old and tired. Take the time to interact on a variety of other pages. Choose businesses or pages that relate to your business and ones that your target market might visit. For example, if you sell lamp shades interact with pages that involve lamps, light bulbs, interior decorating, and so on. The research is undeniable, videos attract more attention than any other type of post. Post original, thoughtful, and creative videos that will leave your followers wanting more. It’s ok to re-post something relevant but try to stick to mostly original videos. Take it to the next level and go live, but remember live videos still need to be planned and executed professionally. Once you have established a dialogue with people that fit into your business stream reach out to them about a partnership. You can offer to cross promote each other on the your page -it’s free advertising for both of you. The benefit is that you will have the opportunity to gain access to all their followers and vice versa. NOTE: Carefully select these businesses that will be beneficial for both sides and try to find ones with similar follower numbers. If you choose a company that has 10x the followers, you do it won’t be beneficial for them. Make sure all of your employees are following the business page. You would be surprised to find out how few employees actually do in other organizations. Get your staff engaged with posts they can relate to or learn from. Your employees should know what is going on in their company and the message you are spreading. They should be the first ambassadors of your brand. If you do this right, their friends will be infused into your content. The faster and more consistently you reply, the happier and more confident in you they will become. In fact, Facebook rewards you for fast response times by giving you a badge. It will tell your followers an average time of how fast you reply. There are a couple of levels but don’t be nervous. If you don’t reply quickly it doesn’t share how bad you are at it. Lastly, when engaging, don’t put out the same robotic message to everyone, personalize it the best you can. Give your followers a reason to be on your page. Utilize the functions of the page to get your customers involved. Have a survey that can start a conversation. Start a promotion or offer a discount. TIP: Get people to like your page for “members only deals”. Set a schedule and stick to it. Give your viewers/visitors a reason to come to your site. They should be able to count on you for new content at a specific time. We recommend giving structure to your schedule based around a theme for each day. For example, every Tuesday is your tip of the week and Wednesday’s are quote day. Also, be sure to link your other social media platforms from your Facebook page so customers can go straight from your page to check out and hopefully follow your Instagram or other social network. Creating and being active in a group is a great way to add value for your customers. Groups function as a place for like-minded individuals to share their thoughts, insights, and questions. They’re the perfect place for you to show that you are the subject matter expert in your field. Staying current with the latest industry trends is another benefit of starting or being a member of a group. Important-The group is not about you! Consider it more of a service that you are providing for your customers, existing or potential. Don’t be pushy for a sale. If they like what you have to say then you will begin to build trust with them and that will build loyalty. You can however use the group to announce events that your customer would enjoy or benefit from. Some groups are public and some are made to be private, it’s your choice. A private group can be treated like a “members only” forum, giving the customer a sense of exclusivity and adding to the overall perceived value. This is something we actively do! We actually put more time and effort into our group than we do the Page specifically because it fosters such a sense of community and we can help people who struggled with the same things we did. Check out our Online Entrepreneur group by clicking here! Explore. Investigate. Join a group. Get your hands dirty and dig into several groups that are in line with what you do or what you want to do. Let’s say you sell dishware- you may want to join groups that also sell dishware and best dishwashing practices, and dish soap suppliers, and home decor trends. Your online presence and reputation will stay with you. Be respectful towards others, especially those you might view as a competitor. You get more flies with honey than you do with vinegar. Build allies and power teams. Digging into other groups isn’t just a great way to promote your businesses, but to network with others and learn! Yes - it matters enough to mention it twice! Keep your sites and pages fresh. How many times have you gone to research a product or company, arrived at their page, and saw their last post was from 3 months ago? It happens all the time, people put a page up and clap their hands together like they are making a chalk cloud. Chalk drifts to the ground, to the end of search results, and out of people’s thought and sight. Don’t make a chalk cloud, use the chalk to write and produce actionable steps and intriguing content. Get started. Play around with different ideas. Check out what others are doing. Dig in. Be engaged. No one person has all the answers so if you don’t know something ask someone who does, there’s probably a group for that. I want to hear about the tips you use! Share them with me in our Facebook Group by clicking here!